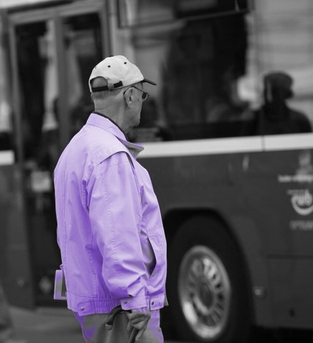 A study from South Australia has shown how important it is for senior citizens to be enfranchised by public transport. Adelaide’s senior citizens are making an average of 150,000 rides on public transport every week, with the provision of free public transport to seniors during off-peak times playing a major role in their independence and wellbeing. New research from the University of Adelaide used a combination of data; travel information obtained from thousands of Seniors Cards used on public transport; a survey of more than 1,300 people conducted by the Office for the Ageing; and travel diaries filled out by more than 60 older people. “The results of our study are a resounding vote of support for the provision of free public transport to Seniors Card holders, and helps us to better understand what role this transport plays in their lives,” says study leader Dr Helen Feist. The figures showed that among Adelaide’s seniors, 10 per cent of drivers and 20 per cent of non-drivers use public transport. “Most activities of daily living – such as shopping and paying the bills – are conducted in the local neighbourhood and involve other forms of transport. However, public transport is often used for other life-enriching activities, such as volunteering, or civic and social engagements, going to the movies, visiting friends, or travelling to the city for a day out,” Dr Feist says. “On average, we found that Seniors Card holders are making more than 150,000 rides on public transport in the Adelaide metropolitan area every week. This represents an extraordinary number of civic, social and community engagement opportunities for older people. “It means that our public transport system is being well utilised during off-peak periods. It also means that tens of thousands of cars are off the roads each week,” Dr Feist says. “It gives them autonomy, as well as feelings of active citizenship and belonging. These issues are critical to people’s wellbeing in later life. As Australia’s population ages, the ability to engage independently with the community through adequate and reliable transport is becoming more imperative,” she said.